More about Marimekko Black Unikko Long Polyester Shower Curtain These fun shower curtains by Marimekko are in the popular Unikko pattern. 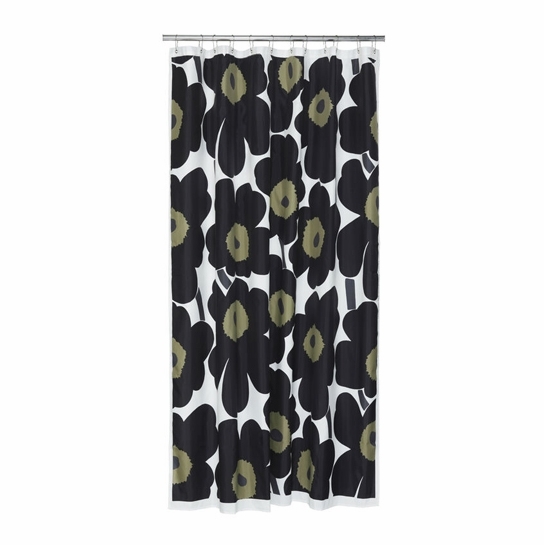 Add a little bit of cheer to each day with a Marimekko Unikko shower curtain. Love this shower curtain and towels I have just purchased! Because of the polyester in the curtain, I can finally have something other than white in my sunny guest bathroom without worrying about fading! The hanging tabs for every towel and washcloth was an added surprise! 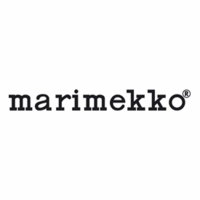 Thank you, Finnstyle, for offering the widest variety of Marimekko designs! ProsVivid, fadless colors; wide variety of designs; hanging tabs on each towel. Seamless ordering; quick arrival. This classy shower curtain looks great in my bathroom! Just as advertise. Shipped fast and is a quaily item...should last awhile. Is the olive color more of a brown or more of a green? I've seen other pictures where the color looks like a brighter green. 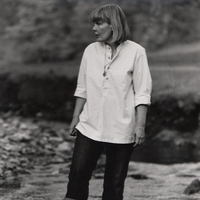 However, in this picture the color looks like a muted brown. It is more on the brown/beige side - you can get a hint of green from it, however it is more beige. Hi, Does this shower curtain require a liner? 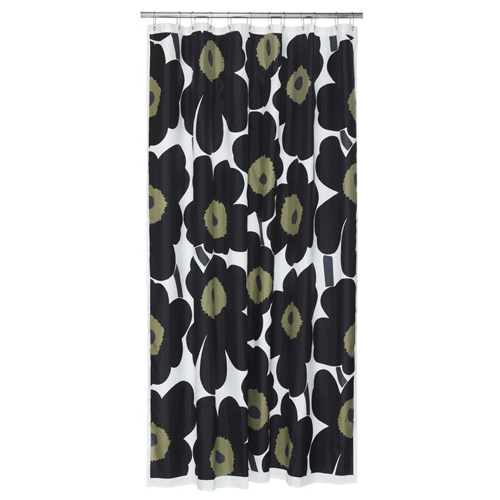 Marimekko Polyester shower curtains do not include shower rings and do not require a liner. This shower curtain is only available at 79" at this time.